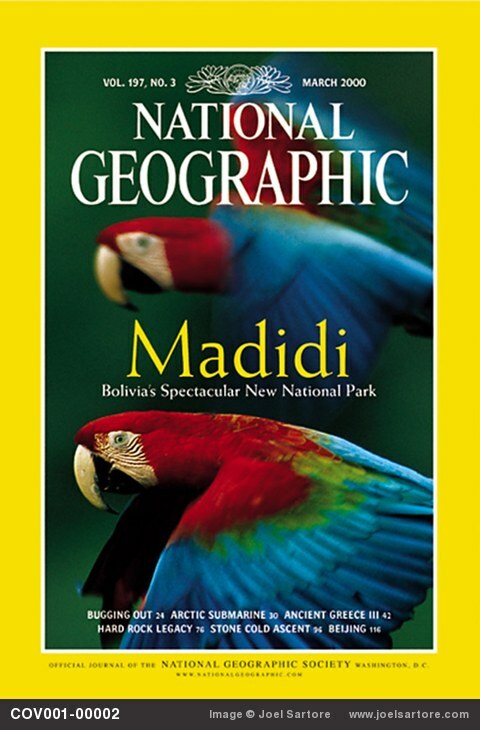 Our team guided the National Geographic’s expedition to the Madidi. While shooting in Bolivia’s Madidi National Park, Joel spent a lot of time on the river’s banks. But to travel through the park, he had to get off the banks and into a dugout canoe, accompanied by native trackers and Rosa María Ruiz, director of Eco Bolivia foundation and one of Madidi’s staunchest defenders. “She was my guide, interpreter, friend, and life – saver,” Joel says. “She made sure I stayed out of harm’s way.” When the Nebraska native and first time visitor traipsed through the jungle with a column of trackers, Rosa María kept him in the middle in case wild pigs-peccaries-or some other dangerous animal decided to investigate the two-legged intruders.